If you’re a good pet owner, there’s probably going to be a time when you wonder, “Can dog food go bad?” The answer to that question is a simple one—yes! Although it may seem that a big bag of kibble can last forever, there are actually some limitations on how long it will last without going rancid or spoiling. Even canned dog food can be affected. 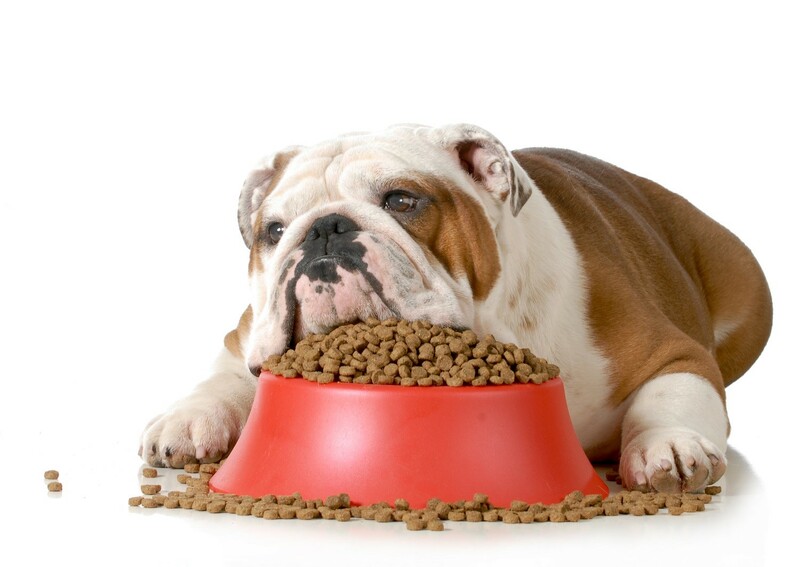 Since spoiled dog food can make your pet sick, it makes sense to keep an eye out for any signs of trouble. Although you’d like to think that stores wouldn’t sell expired dog food, it can happen. In addition to that, some bags or cans may be damaged in transit or stored improperly, causing the food inside to go bad. Luckily, with a little bit of forethought and a quick check here and there, you can tell if you are feeding your dog fresh or foul food. Here is some good information to file away from the team at Advanced Animal Care of Colorado. This is one of the easiest ways to tell whether dog food has issues. When you’re scooping out the food to put into your dog’s dish, take a minute to look at it to see if there is anything suspicious going on. Obvious causes for concern include bugs and mold, but too much moisture in kibble can also be a bad sign. Knowing what your pet’s food normally looks like is helpful, as you will then have something to compare it to down the line. If you see something amiss, it may be time to toss the food. In canned dog foods, you’ll want to keep an eye out for dents in the can itself. A dented can may be breeched by bacteria and cause serious health problems for your pet. Clostridium botulinum is a toxin that can grow inside damaged cans, and when ingested, this can lead to botulism, a very serious illness. Luckily pets aren’t quite as sensitive to it as we are, but that doesn’t mean it can’t make them gravely ill. Cans that feature deep dents or that have been punctured in any way should definitely be avoided. Those with minor dents may not be as likely to have bacteria growing inside, but why take chances? See if the store will let you swap it out for a new one. If not, it’s probably best to be on the safe side and take a pass on feeding it to your dog. Rancid dog food smells bad. If your pet’s meal isn’t passing the sniff test, you may want to check the expiration date or just pitch it and start with a fresh bag or can. Storing dog food in original bags or containers is smart because then you’ll be able to keep an eye on the expiration date. If your dog doesn’t seem interested in the food, it may also be a sign it isn’t safe to eat. They have pretty sensitive noses! It’s important to store your pet food correctly to maximize its lifespan and minimize the chances it will spoil. Keeping the kibble or wet food in the original container is a good way to help it stay fresh. Canned foods shouldn’t be opened until just before feeding. A kibble bag should be sealed as tightly as possible in between feedings to keep moisture, bugs, and bacteria out. Neither cans nor bags should be stored in direct sunlight, just to be on the safe side. One of the best ways to make sure your dog food doesn’t spoil is to use it before the expiration date on the can or bag. Dry dog food doesn’t keep forever, and cans will eventually go bad too! Once a container is open, you won’t want to let it sit around for a long time and then use it later on. Storing wet food in the refrigerator in an airtight container will help it stay fresh for a few days, but don’t wait too long to feed it to your pet or it will go bad. Dry foods once opened should be used within a few months and tossed when they don’t pass the sight and smell tests. If you would like to learn more about fresh dog food, the team at Advanced Animal Care of Colorado would be happy to give you more information about this important topic. At our practice, we like to recommend Royal Canin for dog food to our clients, as we think it is a good, quality dog food brand. Give our office a call if we can be of service to you regarding what you’re feeding your dog. We’re here to help! Contact us for information about dog food!